This feature is available only in PRO version. Click the below button and purchase. I want to offer 25% discount for customer's whose shipping country is "United States"
Go to WooCommerce -> Woo Discount Rules -> Cart discount rules . Provide a suitable rule name. I am setting my condition as "Shipping country in list" and choosing United States (US). 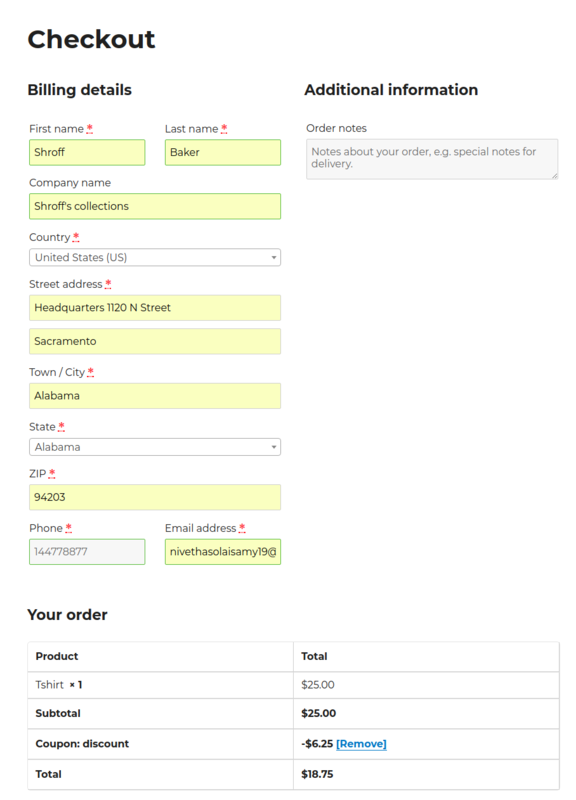 In the checkout page, when we enter the specified shipping country, the discount will be applied. Select the country from the drop down and enter your state. You can provide multiple discounts based on shipping countries and adding more conditions to it. You can give a price or percentage discounts based on it. Wanted to specify discounts based on shipping zipcode ? Just add the condition, in the condition tab. 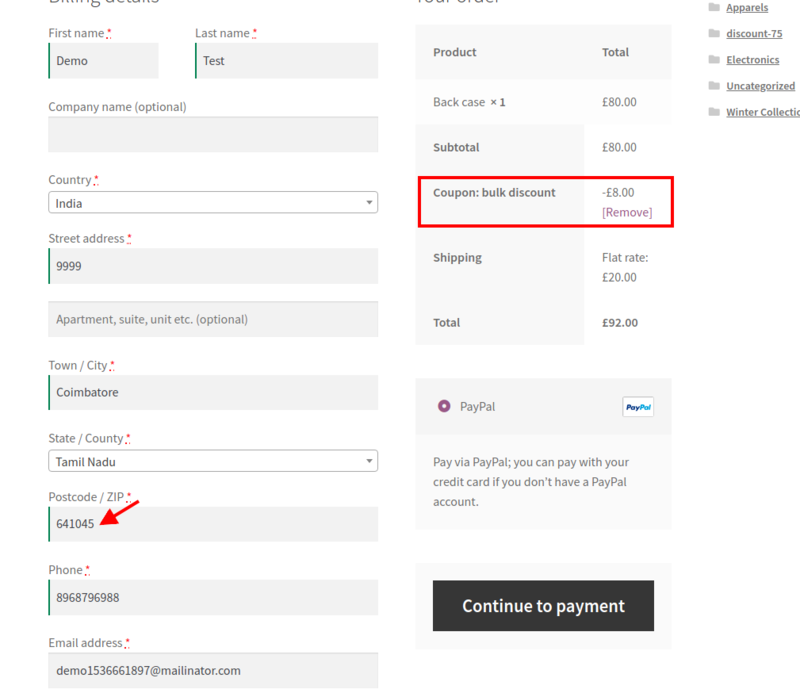 So, in the checkout page when the zipcode matches with the code given in the rule setup, the discount will be applied as mentioned in the screenshot.